If you’ve seen me in the past few months, we might have talked about my MFA program. And if you asked about my thesis project, chances are you got a mumbled and possibly incoherent speech about a vague action comedy. Probably the only phrase that you caught was “Cactus Man”. I apologize for the confusion, and I have no desire to relieve you of it. This is a teaser trailer for my upcoming project. We have a long time to wait before this is done. I want to release it on the blog in small pieces. Maybe one day I’ll be like one of those web comics titans that posts a page a week. I got a long way to go for that, though. 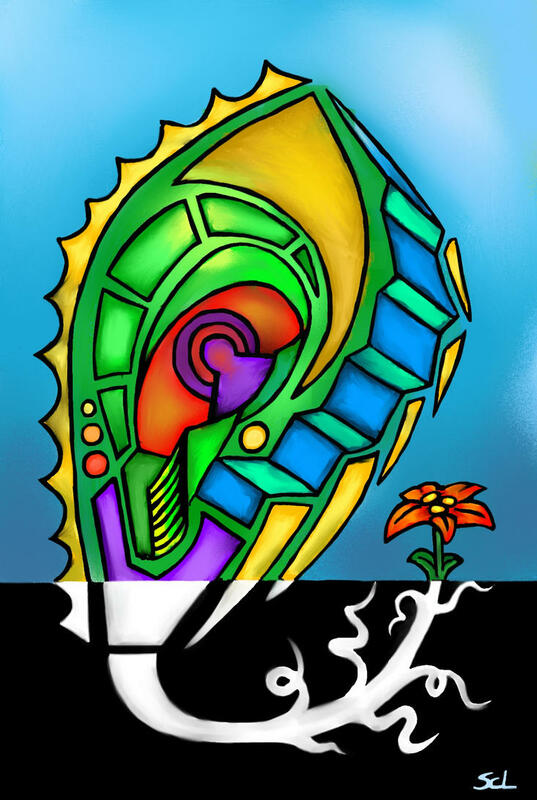 Till then, enjoy this sneak preview. Our magnificent heroes, soaring majestically on the wings of a…..couch. 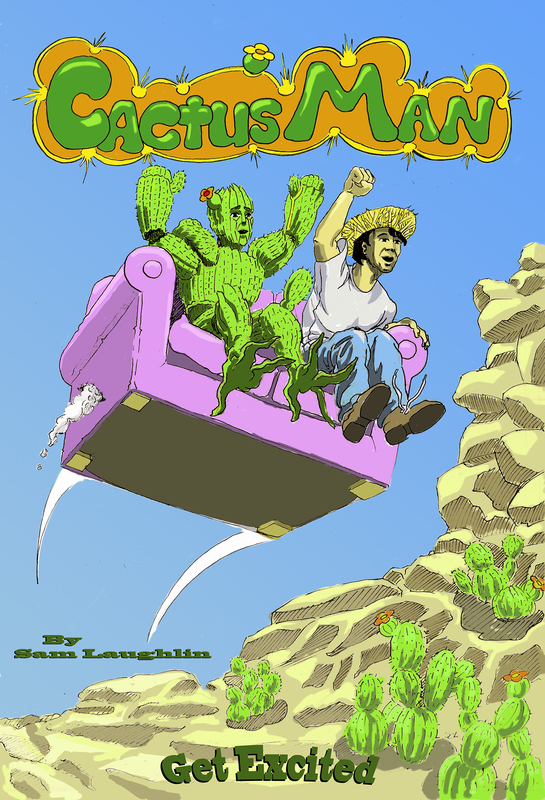 Cactus Man is a comedic graphic novel that follows the adventures of a sentient cactus who people call Cactus Man. It portrays the meeting of two worlds as modern humans come face to face with nature. How will people react to this strange new visitor from the deep desert? Cactus Man is just looking for a place for his people to exist, but it’s going to take more than a spiney hide to stop the forces arrayed against him. 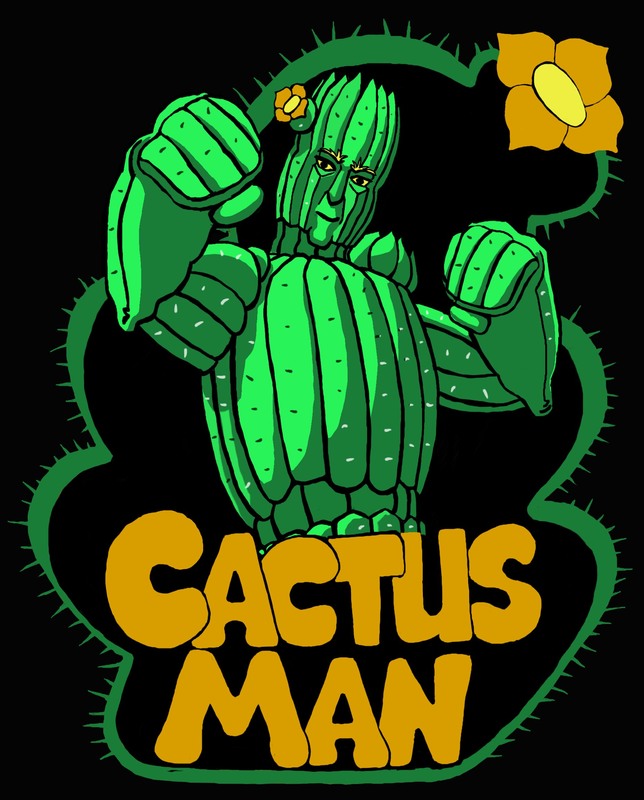 Luckily, Cactus Man has tricks up his sleeves and friends at his back. Comedy, adventure, and surprise await you in the next issue of Cactus Man! Now I set you free upon the world. I can’t wait to see more! It is exciting. Love flying couches! Been on a lot of them. Keep posting! Haha thanks! I’ll post as much as I can!